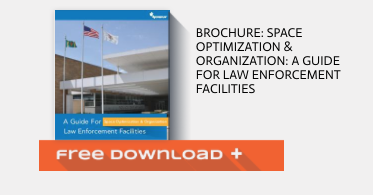 See how we worked with one police department in a small city to identify priorities for updating their space. Don’t allow funding to be a hurdle in making the facility improvements you need. Learn about funding options and working in phases. Identify the most pressing needs at your agency and discover solutions for all budgets and building sizes. Almost every law enforcement agency has faced a situation similar to Capitol City PD’s challenge. You have pressing needs for more space and storage to keep gear and evidence secure, but a new facility is still years away. Luckily, there are plenty of updates and modifications that can help you make the best use of your current space while ensuring that your personnel can work efficiently. Plus, many of these upgrades can be completed in phases or even moved to a new facility in the future. needs. 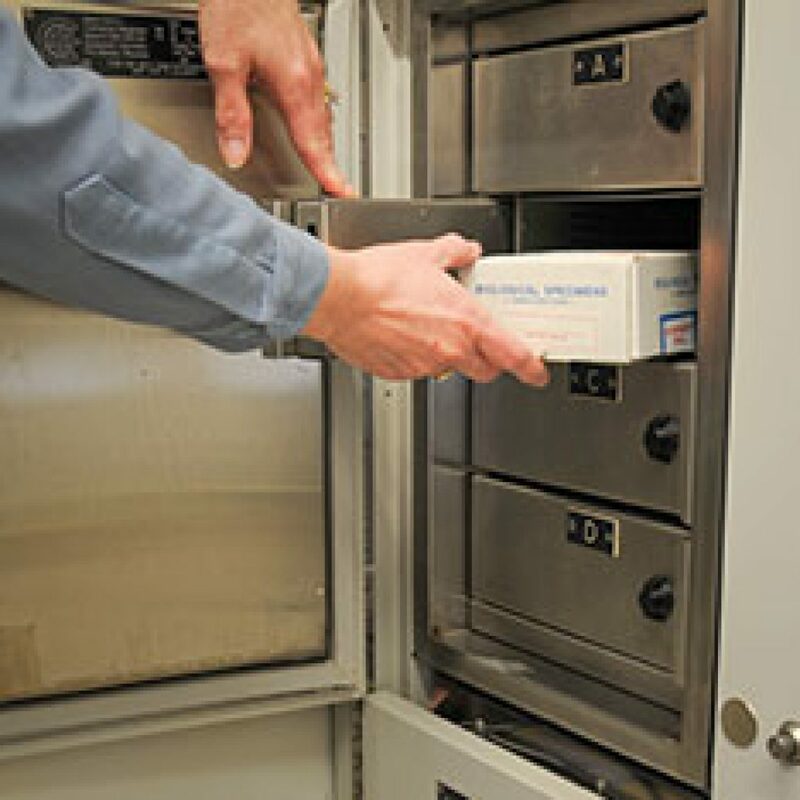 Ensure that evidence is secure throughout the entire chain of custody and explore locker configurations designed for facilities with limited space. Keep narcotic and weapon evidence separate and secured under double-lock, even if you have a smaller inventory or limited storage space. 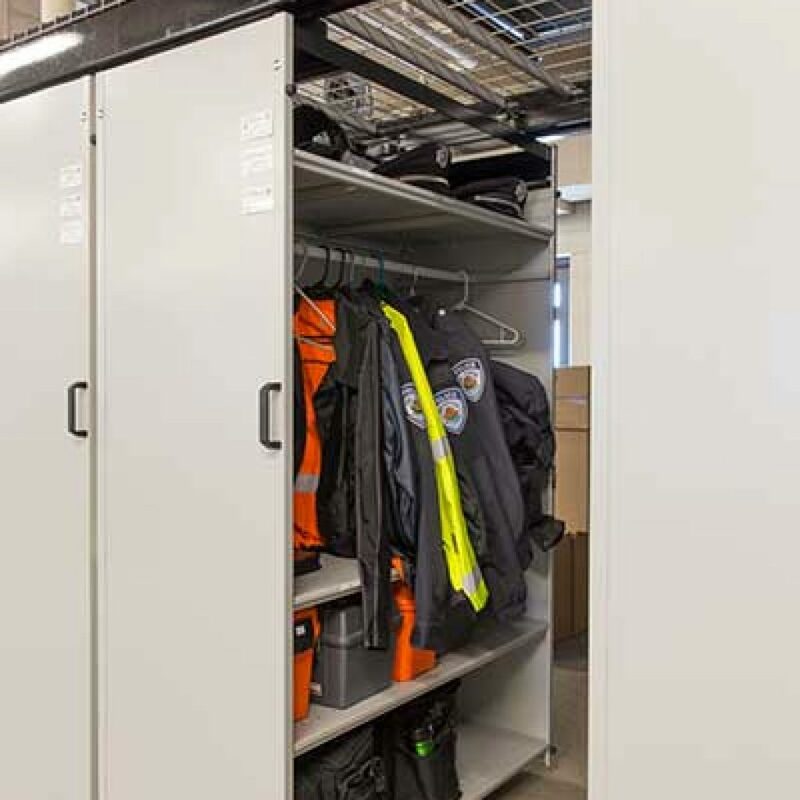 Too much gear and not enough lockers for all of your personnel? See how tiered lockers, pull-out benches, and retrofitted drawers can provide the space you need without a major expansion or renovation. Learn how you can get up to double the capacity in your evidence room by optimizing your shelving size and room configuration.